Wine bottles make dangerous torches. Avoid deadly, flammable torch fuel. Wine bottles come in all shapes and sizes and they are perfect for holding wine. But what they are not perfect for is holding torch fuel for homemade outdoor, decorative torches. 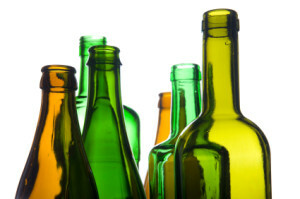 While it sounds like a nifty do-it-yourself project — turning empty wine bottles into backyard decorations — it can actually be extremely dangerous for children and adults who are near the bottles. People mistake torch fuel containers for containers they can drink from. Let’s say you build these backyard torches. Next thing you need to do is fill them with torch fuel. So you go to the home repair or discount store and buy some of the yellow liquid. The torch fuel typically comes in a clear plastic bottle which is about the size and shape of an apple juice container. Do you want in your home or garage a deadly fuel that looks like apple juice that kids drink? Probably not. Just a tiny bit of torch fuel can cause injuries to children, and they can even die from drinking torch fuel. A glass bottle filled with a flammable liquid and a wick on fire: that’s a dangerous combination if there ever were one. If it gets knocked over or falls out of the holder, flammable torch fuel will spill out, traveling past the wick that’s on fire and spreading the potential for fire to whatever it comes in contact with — clothes worn by your friends and family, picnic tables, dry grass in the yard. A wine bottle with harmful torch fuel inside looks something they can drink from. Why even take a chance that anyone would confuse the two? It takes a very small amount of torch fuel to injure or kill a person, especially a child. Remember, nothing is more important than the safety of your family. If someone in your family has been injured due to a defective product, contact the Oklahoma personal injury attorneys at Carr & Carr by calling 877-392-4878 or contact us by email to discuss your injuries and possible step nexts.